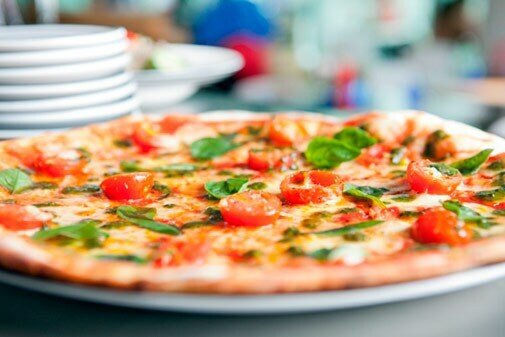 In the international chain's only Delhi outlet in Vasant Kunj, the pizza is a delicious pact sealed with tomato passata. 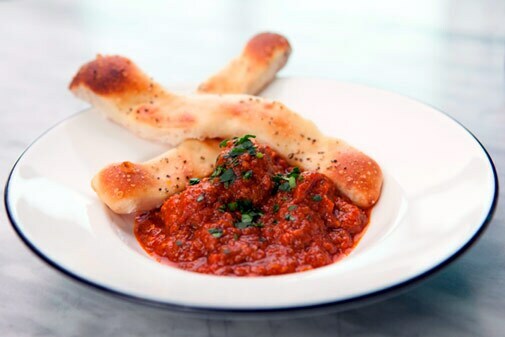 The soft, elastic, playful texture of pizza dough is a tradition handed down by gently admonishing Nonnas through afternoons spent rustling up the best kept secrets of Italian cuisine. The land that conjures up images of sun-soaked villas, a bustling art scene and a gun-toting Michael Corleone still likes its food the old-fashioned way. From antipasti to bocconcini, the creators of spaghetti are adept at turning a simple lunch into a veritable feast. It may be hard to remember, but there was a time when we didn't know how to pronounce gnocchi and appreciate truffle shavings - delving only in the comforting heartiness of meatballs and thick strands of pasta. Most of all, we were head over heels in love with the ubiquitous pizza, something that was simultaneously self-effacing and spontaneous. They say there's nothing a yummy slice can't fix, and that includes even a broken heart. And, it's not just Hollywood's representation of lovelorn adults turning to the comfort of the pizza box that reinforces its charm; the pizza hold its own through a simple yet profound burst of flavours. The equipment for creating the wondrous flatbread topped with mozzarella doused morsels - a stone oven of miraculous proportions - was brought to England by Peter Bizot in the early 1960s. And it was thus that PizzaExpress was born. There are jars of those lining the shelves and supposedly holds the secret to the brand's signature flavour. The exhaustive menu has added a delicious winter component that caters to the palate with uncommon fresh and zingy flavours, namely rocket and basil. We started with the dough balls doppio, enchantingly fluffy morsels encased in a crisp shell. Paired with the pesto, pesto rosso and garlic butter, it's divine. The lyrical sounding Polpette Bolognese turned out to be lovely. I am somewhat wary of the strong flavour of bolognese though I'd wolf down a jar of sundried tomatoes. Surprisingly, I was completely taken in by the hearty dish of meatballs doused in the hitherto offending gravy garnished with fresh parsley and served with warm dough sticks. Skewered chicken and prawn get an Italian twist in the form of Spiedini and gamberro di pollo. Doused in a basil pesto dressing, these are served with watermelon slices, rocket and olives. But, this one wasn't remarkable as far as skewers go. The watermelon and goat's cheese salad is a must-try. With a medley of gooey, crunchy and snappy textures, this salad is delightfully fresh. 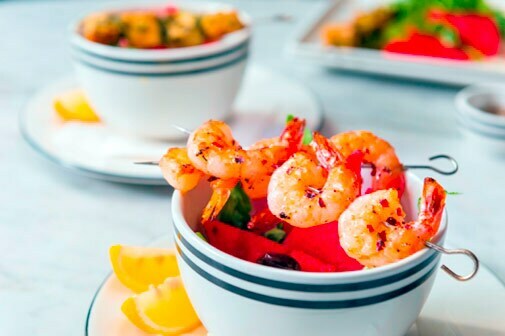 A drizzle of red wine vinegar dressing takes it up another notch. The Romiro al Forno (anything that tastes so good has got to have a pretty name) are stuffed sweet bell peppers. With its cheesy filling of mushroom flavoured with parsley and sweet balsamic, it's one of the best roasted dishes I have had in a long time. And, this coming from a habitual shunner of vegetables. The thrower-of-caution-to-the-winds in you will love the Calabrese pizza. It's stylish rectangular base has a topping of Italian and spicy pork sausage, red chillies, jalapenos and some more. And, it's served with a glorious canopy of rocket leaves. The roasted bell peppers add a dimension of heat tempered by the baby mozzarella. It's an unlikely combination that's miraculously perfect. There might be more decadent versions of pork pizza doing the rounds these days, but none that's so wholesome and yum. The Four Seasons Pizza comes with tasting portions of four different pizzas. They share a similar crisp, flavoursome base. The Pomodoro Pesto is delightfully light and has crisp undertones of basil. The aubergine-topped Melanzane Piccante is another unlikely topping that complements the jalapenos and mozzarella. The Funghi di Bosco has portobello mushrooms embedded in a smoky mozzarella base. Needless to say, every bite is perfection. There's more to come. We tried slices of the charcoal-hinted Apollo - the only Indian inspired item on the menu. The topping of tandoori, green chillies and sweet yellow pepper is surprisingly interesting and spicy. The subtle punch of the layer of mozzarella and the sour sparks from the cherry tomatoes leave you wanting more. Except, that we weren't in a position to, having stuffed ourselves silly. The penne pollo piccante offers a lovely exploration of the softer side of the Italian palate. The creamy harissa sauce and spinach leaves enhance the penne and grilled chicken. I believe that was the point when we slowly decided to push ourselves away from the table because we were dangerously close to a food coma. But, what's a meal without dessert? No way I'm going to bed without dessert. The banoffee pie is decadent and has just the right dose of caramel slathering the bananas. Yes, they serve it with a dollop of ice cream. But, it was the cheesecake that did it. It's the sort of thing that you want to hold on to and never let go. It's got that pale burnished top and a biscuit base that hovers tantalisingly between crunchy and chewy. They even give a rather generous dollop of strawberry coulis with it. It's overwhelmingly delicious. I think I made my point. 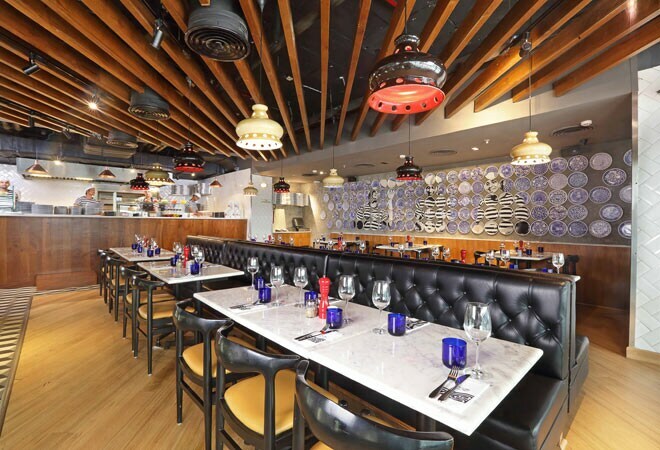 Moving on, the experience of having a meal at PizzaExpress is rather like sitting at a friend's Nonna's table. It has an easygoing ambience where you get to dig into delicious food and it's altogether fulfilling. The maestros (servers) and pizzaiolos (chefs) make sure it's nothing lesser.